Chuck Wild aka Captain Planet is a DJ / Producer / MC / Artist / Professional NICE GUY. Know to many as one of The Beatards trio, known to others as the masked crusader of global stank who produced The Gumbo Funk EP as well as a slew of remixes that can be heard wherever people with a taste for funk exist. Happy Earth Day indeed, with new releases to share (which actually came out last week). First up, my new single “Ghost Dance” which gives a little taste of the music I’m working on for my next album, don’t hold your breath though, might be a minute before the full release haha. You can get your copy on the really great EARTH NIGHT compilation, put together by DJ’s For Climate Action (shoutout to Sammy Bananas & El Buho among other organizers). The concept of bringing Earth Day into the nightclub / dance music world has obvious appeal to me- I’m CAPTAIN PLANET for chrissake. So as soon as I heard about the project, I wanted to be a part. We did little fundraiser parties here in LA on Friday & Saturday, and there were bigger events in NYC, and other cities around the world. Hopefully next year we can take it even further, because let’s face it, we collectively need to make major changes in very short period of time if we want to maintain the diverse life on this planet as we know it! So BUY the album, donate extra, and hopefully plant something in the soil today. And then next up, is this cheeky lil Afro Edits EP I put together for Kampana Records (hi there Aroop Roy). Yes, 2 of these songs have made it into the world in digital form, but it’s nice to have them on vinyl, and then I made 2 new tracks that are ONLY available on this release. So go snag a copy before they are completely sold out. Ever since I left Brooklyn 7.5 years ago, I’ve had the vast majority of my vinyl collection sitting in a storage unit down by the Brooklyn Navy Yard. In addition to the recurring frustration of wanting to hear a great record of mine that was locked up more than 2,000 miles away, I was also paying monthly rent for these bad boys. I basically had a studio apartment for my vinyl. It was stupid, but the logistics of moving the masses across country always seemed way too daunting. Plus, was I even sure that I wanted to stay in LA? Well, back in January I finally made the nearly impossible happen. It took 3 commercial palettes, weighing over 3,000 pounds, and several of the most stressful days of physical labor in recent memory, plus a lot of help from my brother (anyone remember Murphy’s Law from the Captain’s Crate days??? ), but now I can thankfully say that my entire collection is here with me in my studio. What a blessing! Of course, as soon as it arrived one of the first things I had to do was sort through it and sell off a ton. There were just waaaaay too many records. As I went, I started pulling out some gems to digitize, several of which you will hear today. This is gonna be a long ongoing process, but as you know, I’ve always had a very generous sharing policy when it comes to my precious records. So rest assured, you will continue to reap the benefits of my labor on this site in more posts to come. Another fun aspect of digitizing vinyl, is that I can actually give you a slightly altered version of the song- slight bass boost here, touch of compression there, played back at a different speed (like the Cameo joint on here today, which I feel is just much more in the pocket dropped down to -6%). And now, please allow me to take you to church, these are some supremely funky, soulful, body-moving, heart-opening selections, some of which are pretty darn rare and I don’t think you will find them elsewhere- I hope you thoroughly enjoy! Alway love what you share with the world, keep on digging! What a commitment to move all your disc! I’m in awe! Errrrmawgwaaad!!! Labor of love indeed. Can’t wait to hear the fruits born of this self crate dig. For you, it will be interesting what has stood the test of time, what doesn’t make the cut, and what now has new context and power. Congrats on the 2nd kiddo too! 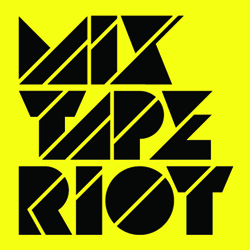 After a 12-month hiatus, Mixtape Riot Radio is back with some of the best songs of the year. Carefully selected and mixed by yours truly, these 60 minutes contain the trademark melange of soul, funk, house, Afrobeat and other global styles that we’re known for. Songs from Chaka Khan, DJDS, Jungle, Maleek Berry, and Channel Tres may be familiar to you regular readers, but there’s also a few new joints that are top notch, including work from Aroop Roy, Leon Bridges and Thornato. Weaving through mid-tempo funk, uptempo dance tracks, and chilled out psychedelic soul, this mix is perfect to throw on at your holiday pre-party or in your headphones while you get to where you’re going. The state of the world may be deep in turmoil, but these songs help remind us that at least the state of current music is good. Happy holidays everyone, and cheers to closing out 2018 with a bang! Perhaps my most played contemporary artist this year (at home at least) was Amber Mark. Really looking forward to hearing what comes next for her, and in the meanwhile I’ll keep returning to this goodie when I need that upward boost. Also stoked to hear freshness from one of my favorite bands of the past decade- Little Dragon. The new 3 song EP has only top notch brainfood. Then we go to some older random pop funk I recently stumbled on, a very tasteful Afro-Baile-Dembow remix by the homie Uproot Andy and a collabo made in heaven from Diplo & Mr. Eazi. As the energy picks up, I felt it appropriate to drop a shot of badass house followed by a chaser of beautiful Detroit electronic soul from the maestro Waajeed. Taking things down, and going really deep, we get otherworldly with a recent cut from my friend Atropolis whose new EP (like all his material) does not disappoint. Finishing off with an absolutely gorgeous song that I keep coming back to by Cape Verdean chanteuse Mayra Andrade with spacious production from global bass don Branko. OK, just music for you all today, no rants on the state of the world, accompanied by a cool painting by Rick Bartow who has a show up at the Autry Museum here in LA definitely worth checking. As well as the sick tuneage, i really like a lot of the visual artists you illustrate your posts with. Adebayo Bolaji in particular is a badass! Peace.